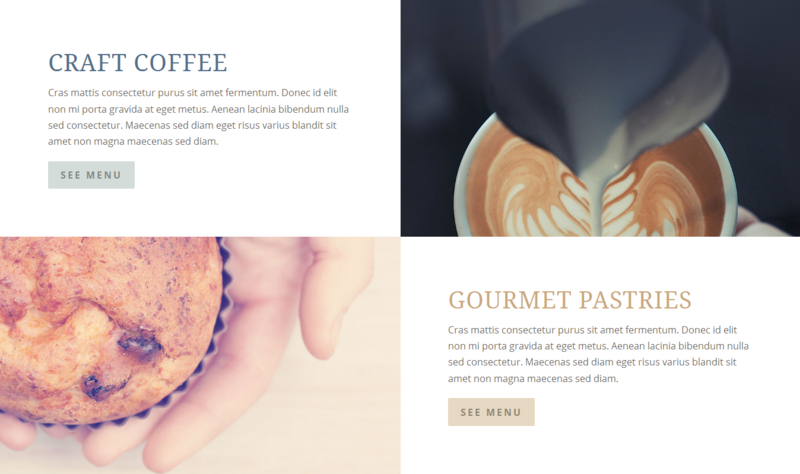 In this tutorial we will see how to design the “CRAFT COFFEE” and “GOURMET PASTRIES” part just like in Divi Café Demo. Add a ½ + ½ row in current standard section. for CRAFT COFFEE section you will need to add Call To Action + Divider. And for GOURMEET PASTRIES add Divider + Call To Action. Go to section settings > general settings > and in custom padding field put 0px for top, bottom, left and right. Go to the row module settings and make the row fullwidth, enable the option of “Use Custom Gutter Width” and put the gutter width value 0, set all custom padding to 0px (i.e. top=right=left=bottom=0px). Go to advanced design settings and enable “Equalize Column Heights”. 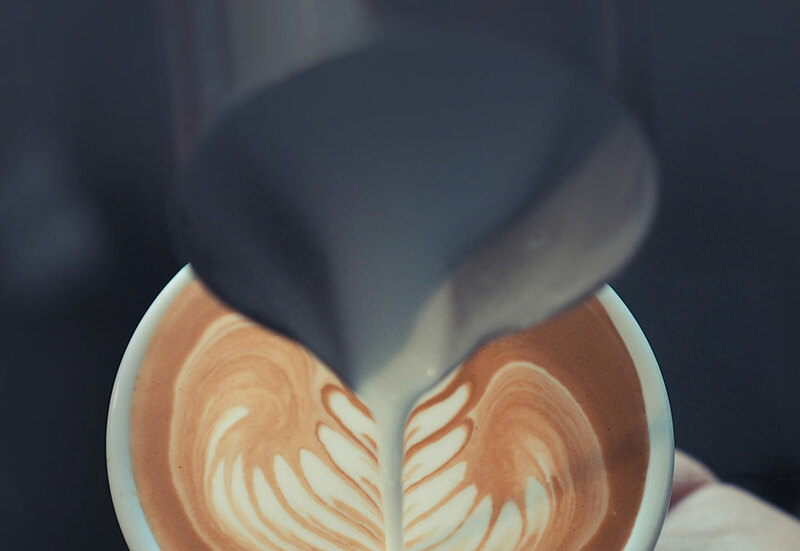 In café demo the image url used is: http://elegantthemes.com/preview/Divi/cafe/wp-content/uploads/2015/04/homepage-latte.jpg . 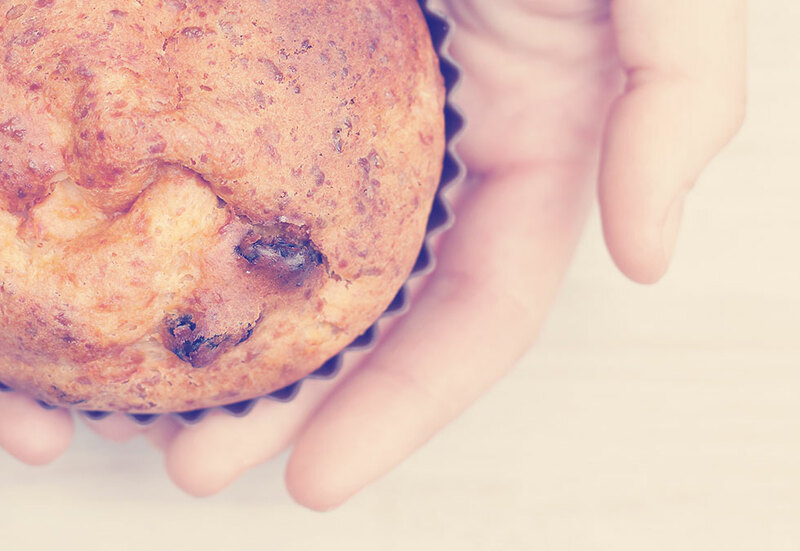 in divi café demo the image url used is: http://elegantthemes.com/preview/Divi/cafe/wp-content/uploads/2015/04/homepage-muffin.jpg . and set all others things according to your need. put 200px value in Height field. If you have any query or suggestion regarding to this post, please feel free to comment below. Stay tuned for more stuff in next article on Divi Cafe Demo. I don’t understand how you build CTA module. Is it a building module called CTA, or is it just a text modul that you custom ?. If it is a text module, can you show us how you build it ? CTA (Call To Action) is a separate module and you can find it in Divi Builder. Let Me Know if any question..
Great post! But what do you mean “put 200px (in image it is 100px) “? When you use an image should it be 100 or 200 px? Thank you. Sorry for the confusion, It is 200px . And I have already updated the post. Please let me know if any confusion. sorry for the delay in reply, i was busy with some personal matters, let me know if you still need some help with this, i can check it for you. I am finding that it doesn’t display on a mobile device correctly though? How can I fix this? could you please suggest what is the issue you face on mobile ?